Good Morning Green Panda Readers and Welcome to the last day in April. Tomorrow is May 1st and hopefully it will bring the nice weather. I am definitely looking forward to some sunshine and warmer temperatures. We often read about how credit cards can help us build a good credit score if we use them responsibly. We also often read about how hard it can be to pay off our debts if we spend too much money. There are definitely several benefits to having a credit card and using it wisely, but trying to pay off more debt that we can afford could be the biggest financial mistake of our lives. 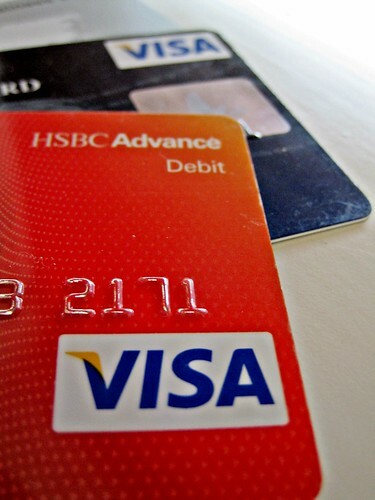 Credit Card users have to find a balance in between the benefits and the consequences. The key to using our credit cards responsibly is to know when, why, and how to use our credit cards as a form of payment. We should try not to spend more money on our credit cards than we can afford to pay off each month and we should also try not to get in the habit of using our credit cards too often because we may become dependent on their convenience . Using our credit card a couple of times a month and paying off the balance each month makes sure that we save on interest charges and maintain a good credit score. – Extended Protection Warranties. If you are purchasing an electronic or home appliance it is a good idea to charge the purchase on your credit card in order to take advantage of the extended protection warranty offered by the credit card company. We should make sure that we have the money for our purchase before we go to buy the electronic or appliance, this way we can pay off the balance when we get home and save on the interest charges. Most Visa and MasterCard’s offer an extended protection warranty of one or two years. – Earning Extra Rewards Points. If you have a rewards credit card that offers extra rewards points when you make purchases at specific locations such as the grocery store, the pharmacy, or the gas station it is a smart idea to always use your credit card at those locations. Some banks and credit card companies offer up to 5 or 10 times the rewards points when we shop at specific locations. It’s a good idea to regularly look at our credit card statements because very often our bank or credit card company includes marketing material and promotions during the month that can help us earn extra rewards points. – Getting Cash Back. Cash Back on a credit card can add up very quickly. Cash back on credit cards is very similar to rewards points in the way that we can earn a standard rate of cash back (i.e. 1%) on all of our purchases, but we can also earn extra cash back (i.e. 5%) when we buy specific items such as gas and groceries. The difference between cash back and rewards points is that rewards points are added to our points balance each month whereas cash back is usually accumulated throughout the year and paid as a statement credit once a year. What is the last purchase that you made with your credit card?